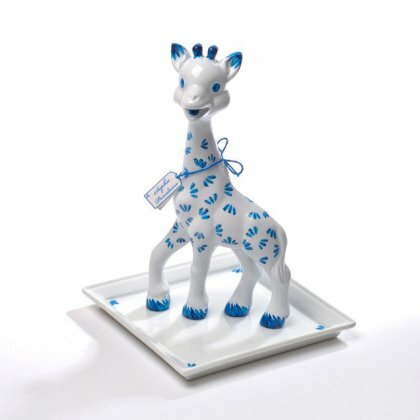 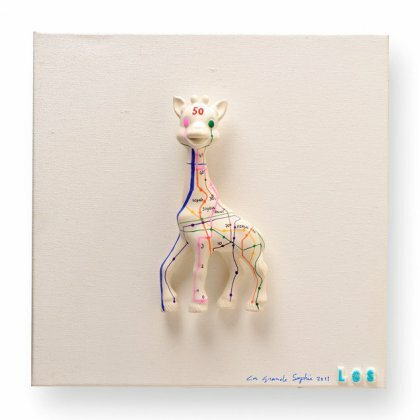 Find out who trusted Sophie la girafe's qualities upon the arrival of their baby. 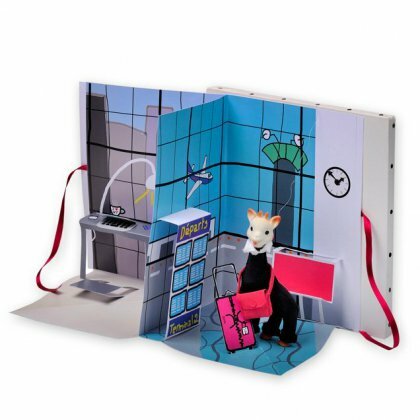 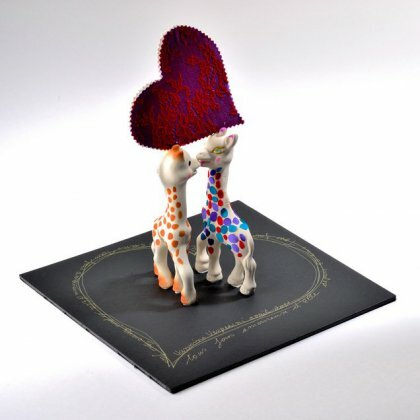 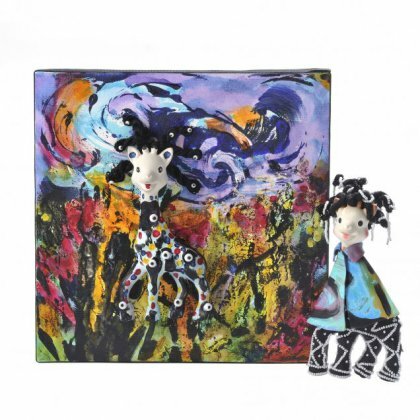 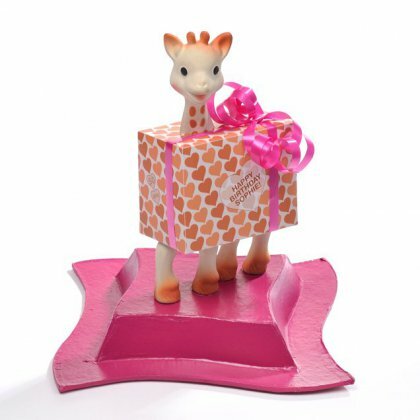 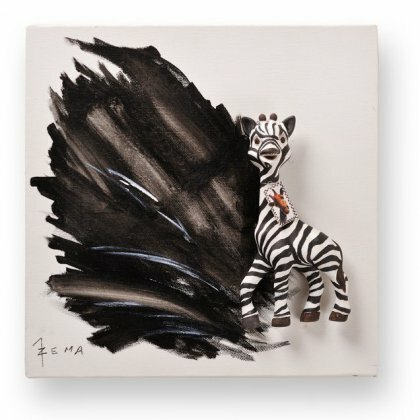 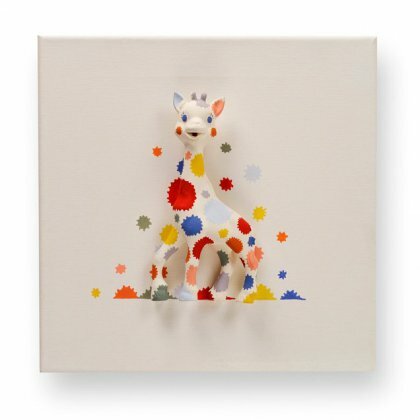 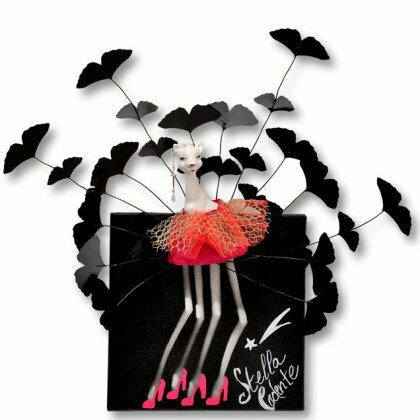 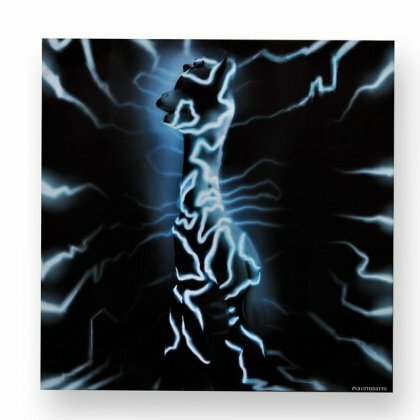 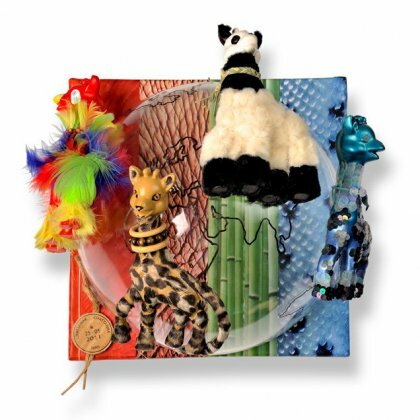 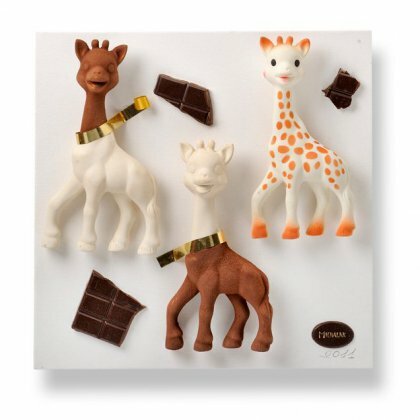 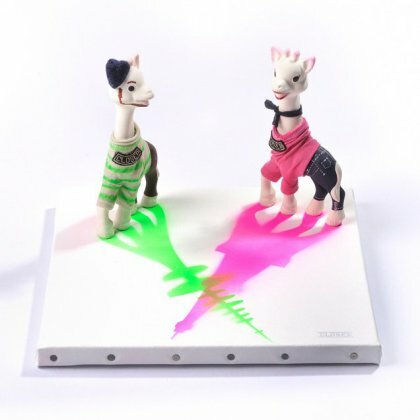 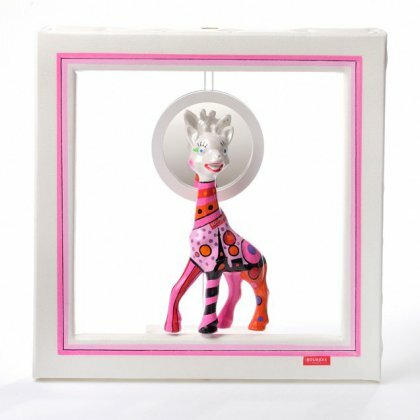 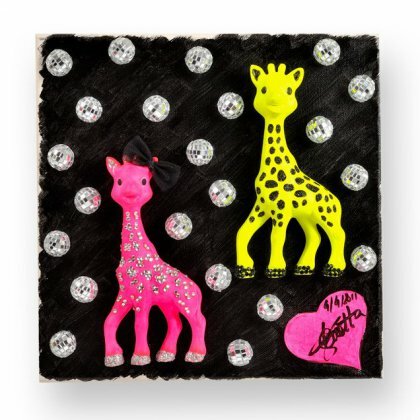 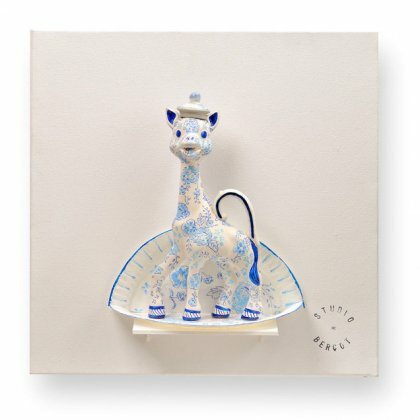 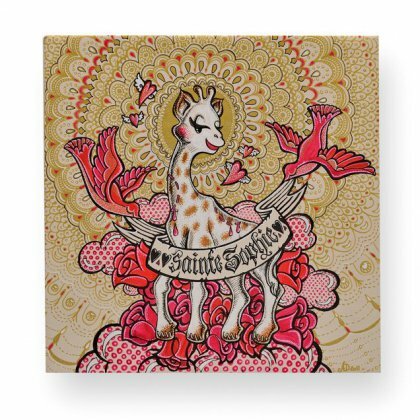 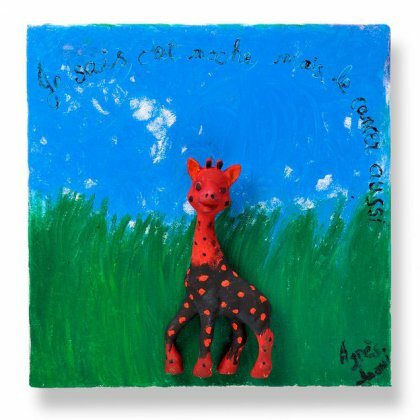 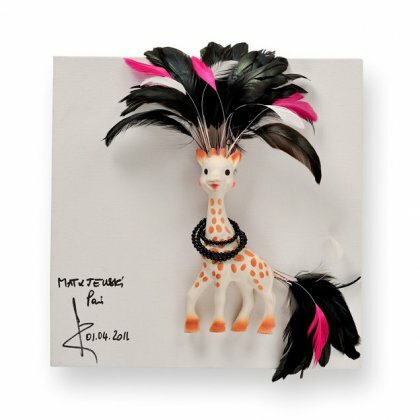 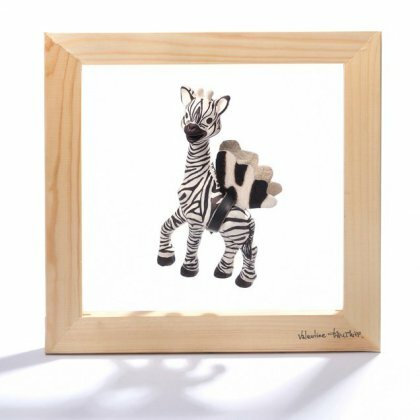 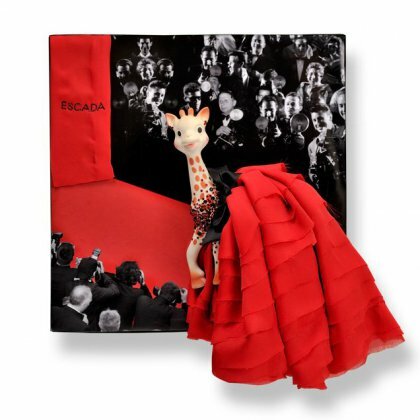 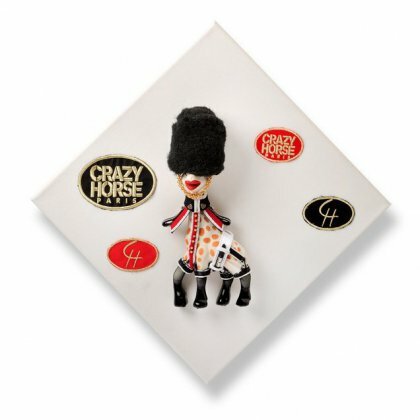 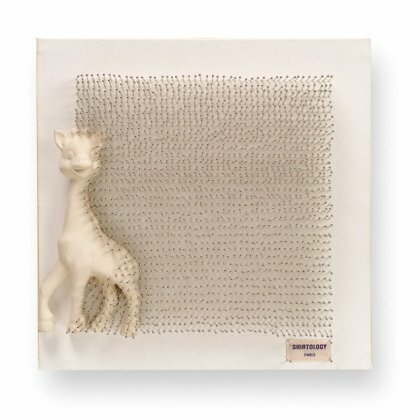 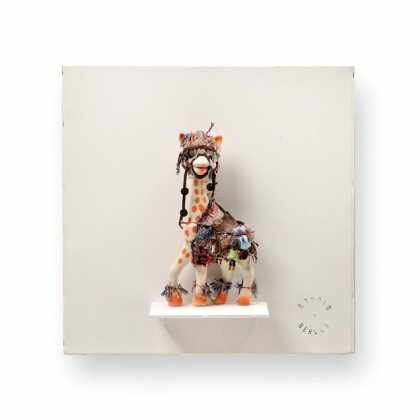 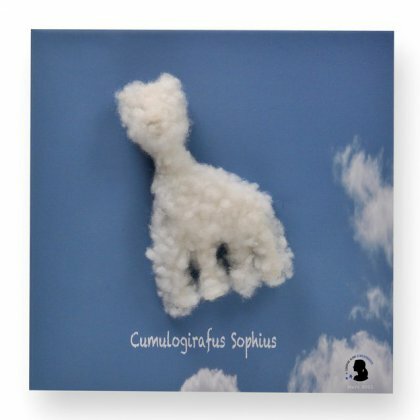 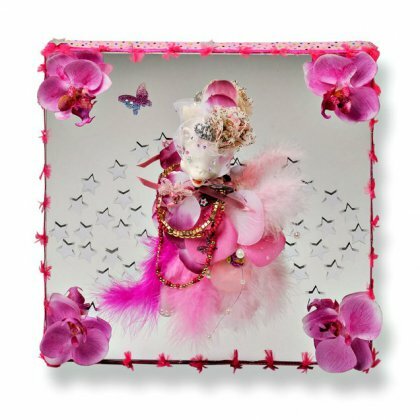 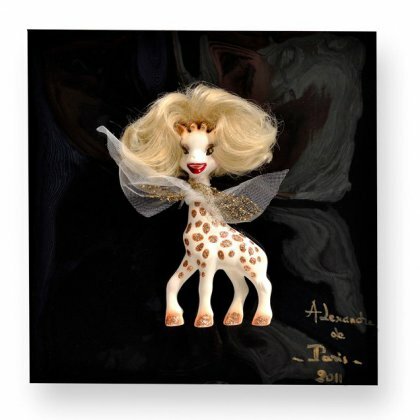 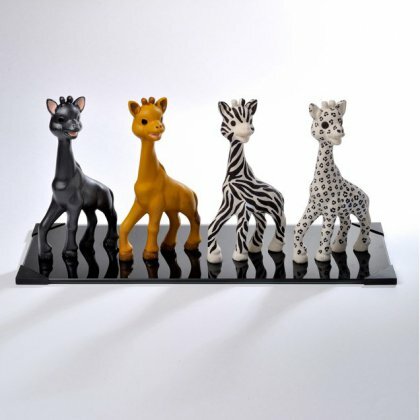 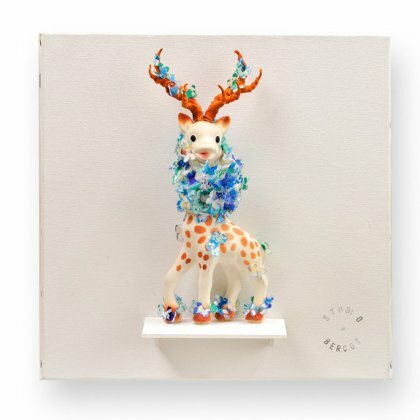 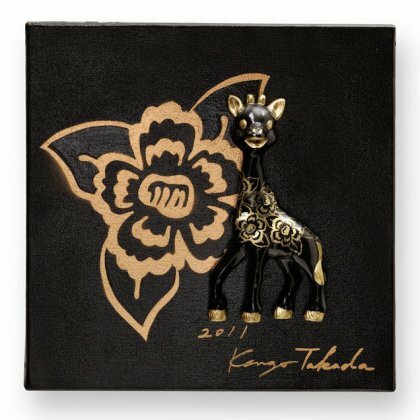 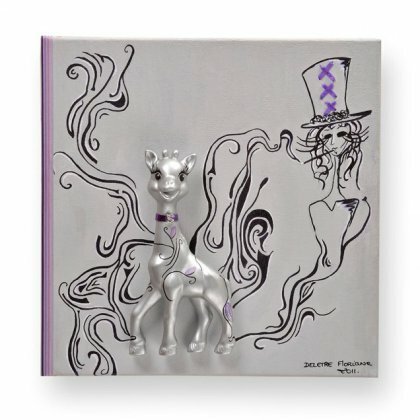 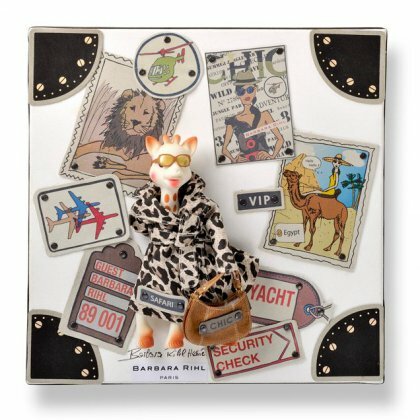 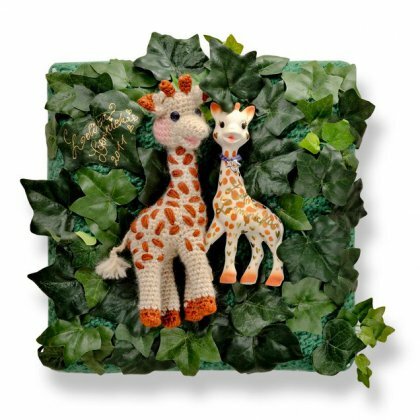 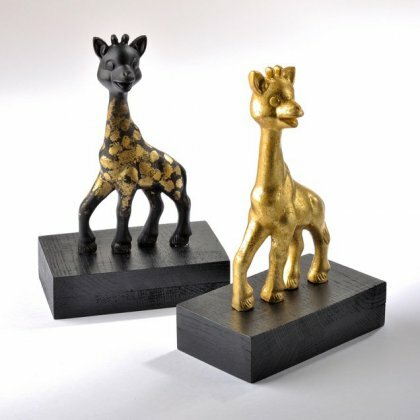 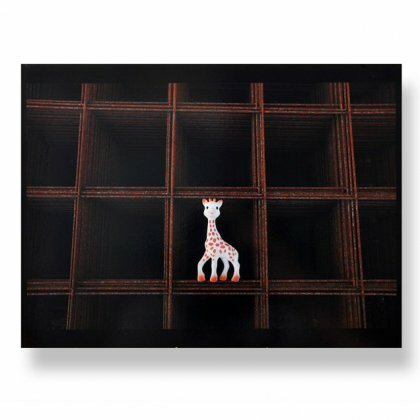 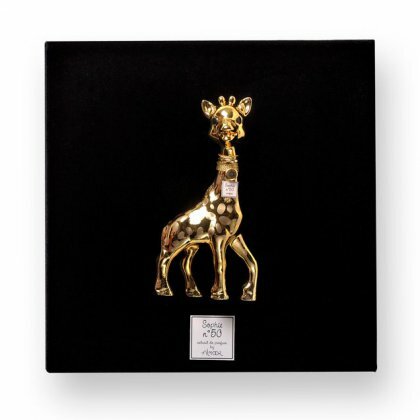 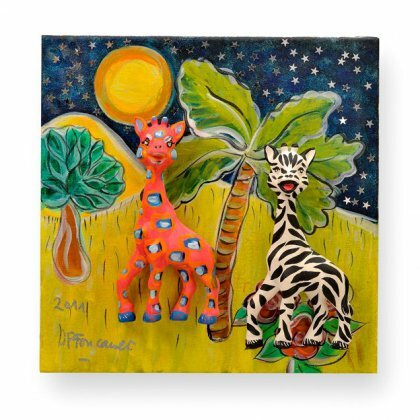 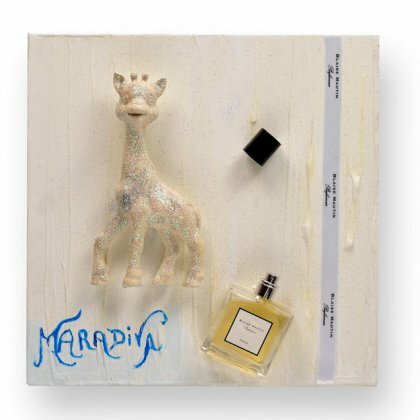 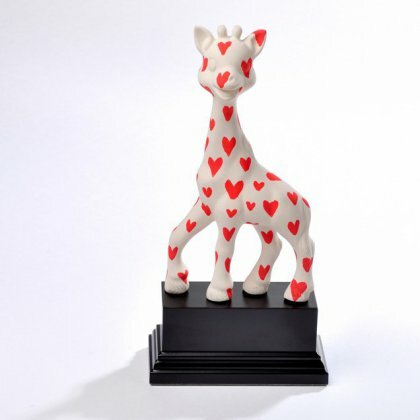 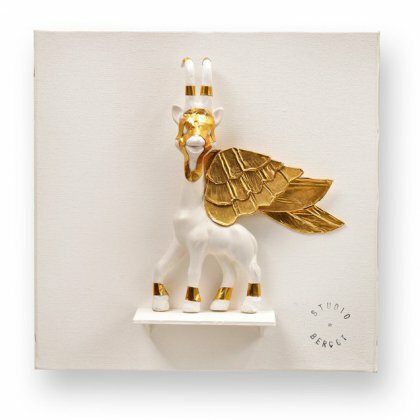 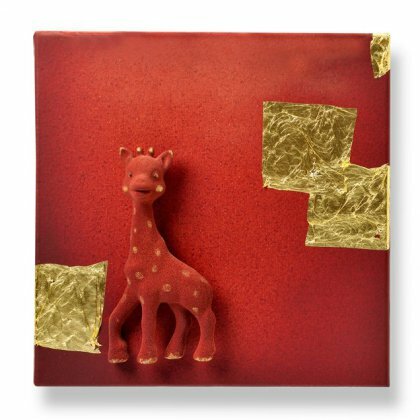 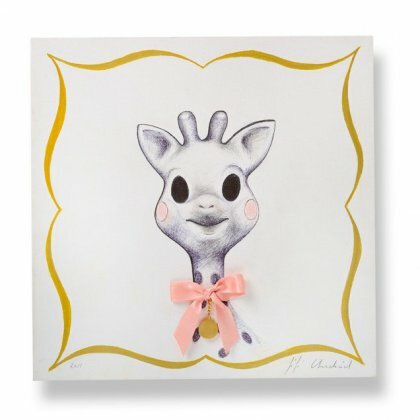 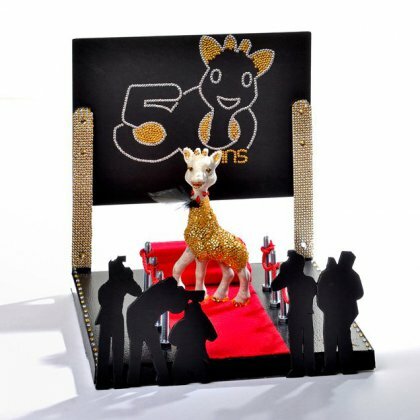 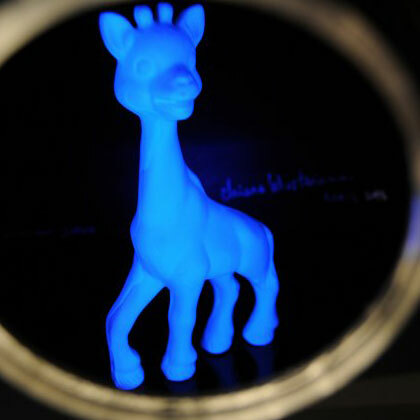 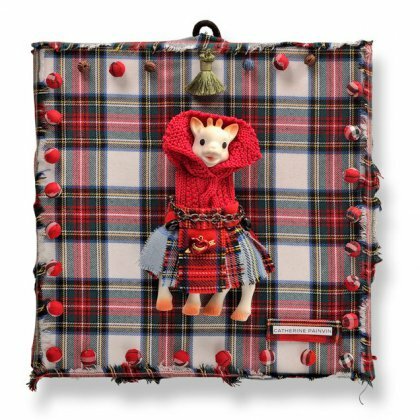 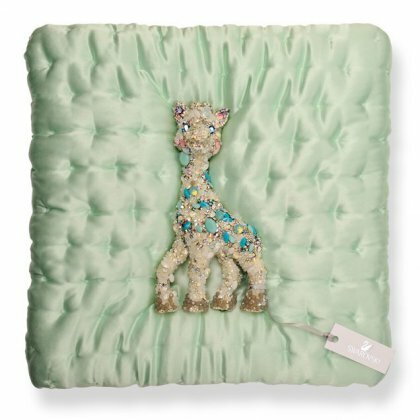 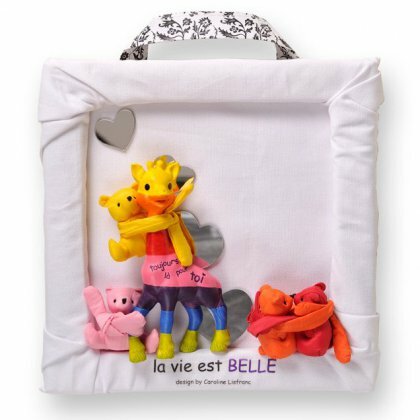 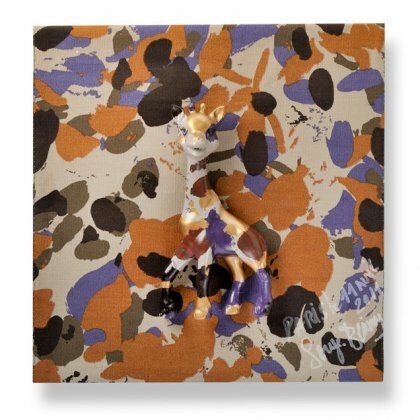 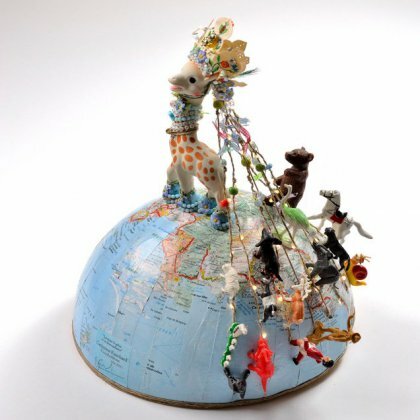 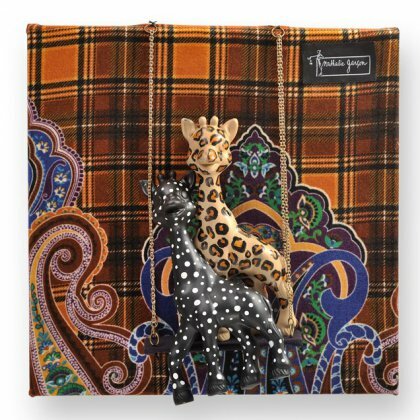 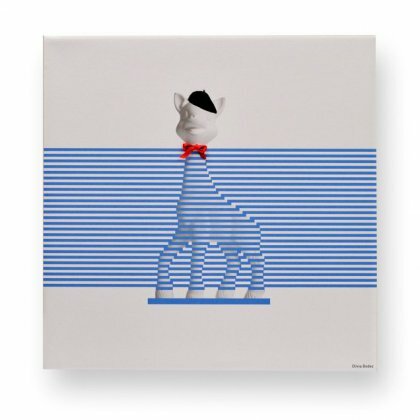 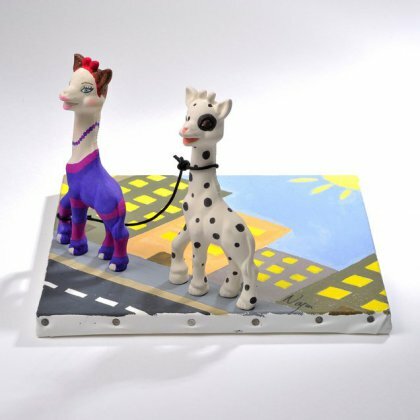 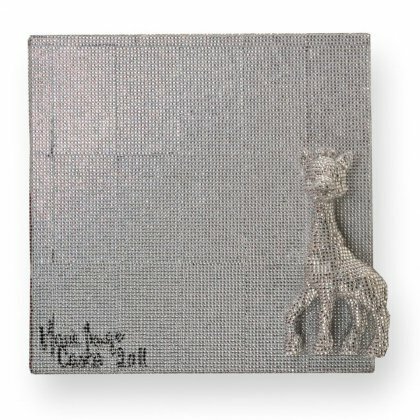 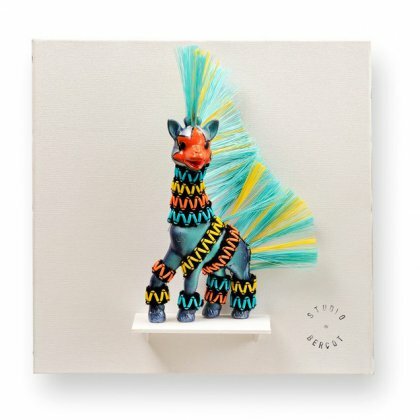 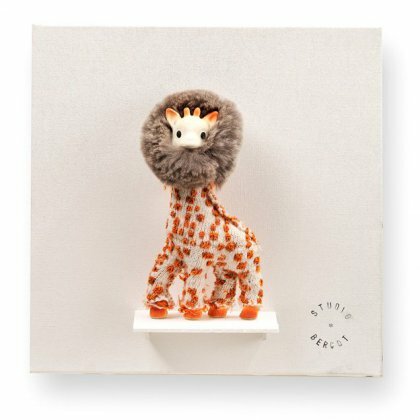 To celebrate her fiftieth anniversary, in Paris on May 25th, 2011, St. Sophie's Day, the little giraffe was interpreted and given a visual makeover by renowned artists. 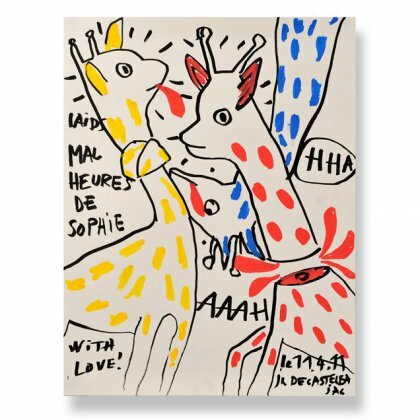 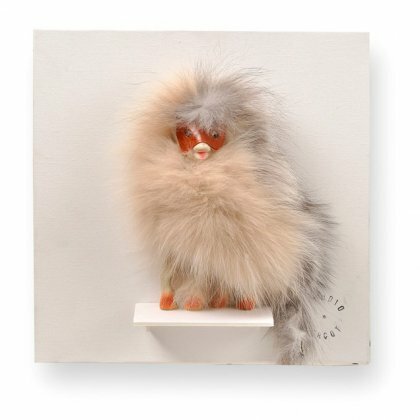 The "Sophie as seen by…" exhibit featured 70 works. 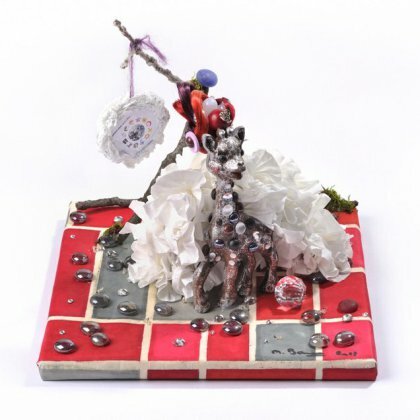 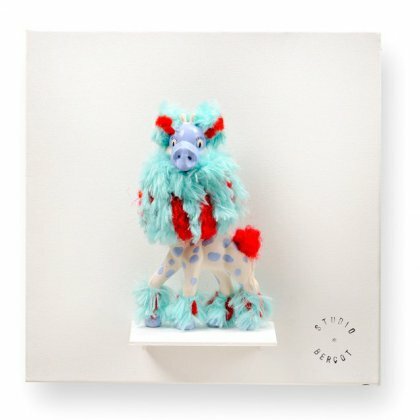 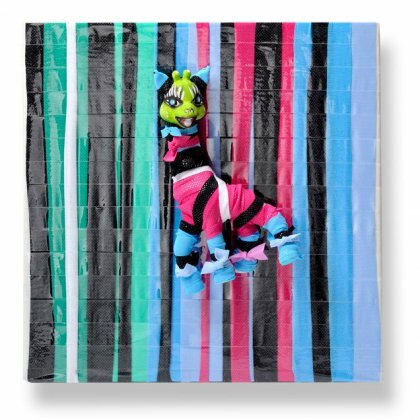 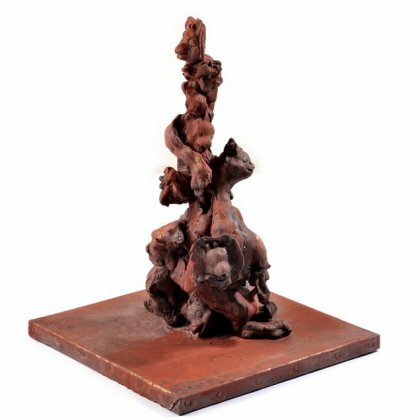 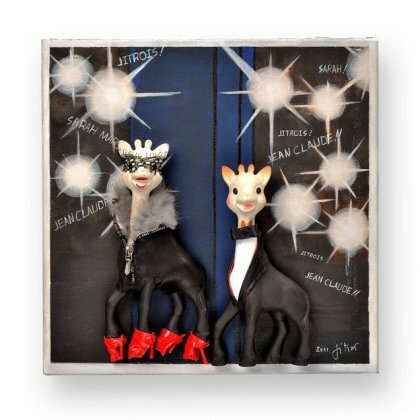 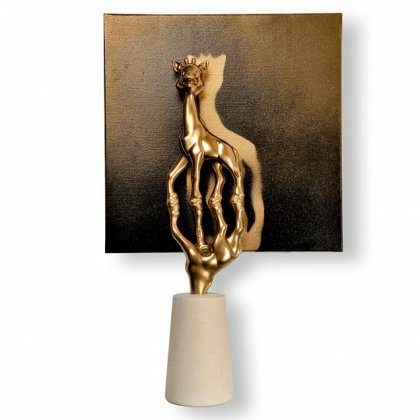 The artworks were sold during a by-invitation auction, hosted by Pierre Cornette de Saint Cyr, with profits benefitting a personalised cancer treatment research program called "Cancer Revolution". 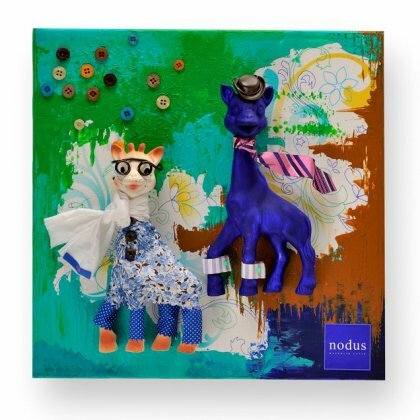 Funds raised during this event were primarily intended for childhood cancer research.